Documenting knowledge for your team can sometimes feel like a thankless task. 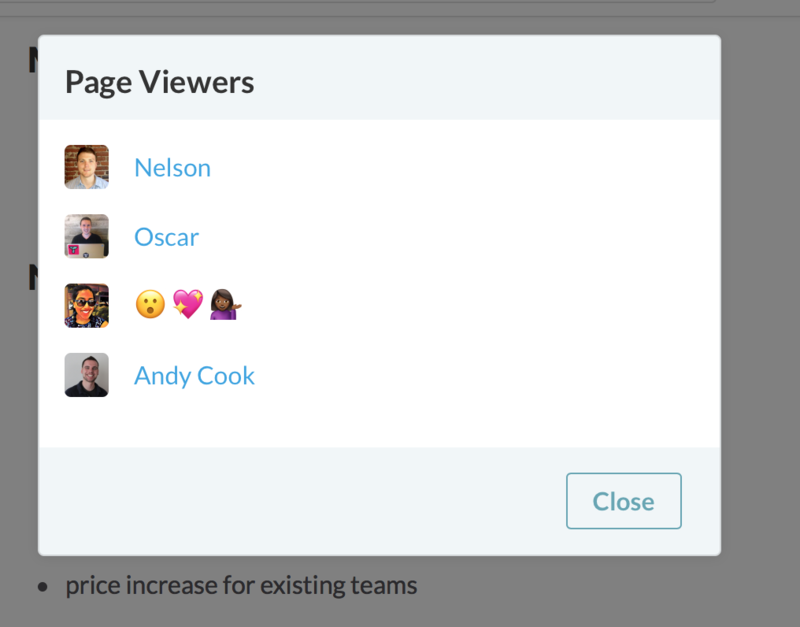 For that reason we've added in a way to quickly take at a glance which of your teammates have viewed pages. It helps authors to know their documentation is making a difference. There's nothing to do on your end to set up page view tracking, we set it up automatically for each account to help build in social proof that your knowledge is being shared. Just take a look at the bottom of any page to see who's viewed that page.